I first learned of JCUA after a chance meeting at the Bucktown Arts Festival. My family and I had recently moved to Chicago, and I was looking for a way to live my Judaism that connected with my values and the values I want to impart to my children. Judy Levey and I soon met for lunch and we explored common professional interests in community redevelopment, urban planning, and urban policy. Judy suggested that I meet with some of the Community Ventures Program advisory committee members and attend a meeting. I was immediately drawn to a familiar blend of mission-driven professionalism – this was a group that wanted to implement best practices of community development lending while seeking to create positive social change through their investments. With a background in education, non-profit real estate development, and urban planning, I felt like I could contribute to the mission, and be challenged on my practices. Additionally, I could do this in a Jewish context! This was novel and spoke to what I previously thought were disparate components of my identity. On the CVP board, I’m encouraged to bring new ideas to the table- the types of community development projects we consider, new ways to measure our impact, and more ways to create linkages between CVP’s investments and JCUA’s member campaigns and trademark programs. CVP’s newest loan recipient, VeriGreen, will rehab and preserve these senior affordable housing in Rogers Park. Read more about CVP here. Recently we approved a loan for an affordable housing development for seniors in Rogers Park, and we are nearing approval of a small business loan for tenant-initiated custodial and contracting business that will work on an affordable housing preservation project. We have started a preliminary review of a community center that would bring trauma counseling for youth, after school options, and wellness programming, emerging from JCUA’s work on the trauma center campaign! I am inspired by JCUA this year – our new member initiatives and campaigns, the growth of our teen social justice program (Or Tzedek), and the expansion of CVP’s loan program and recipients. JCUA staff have their fingers on the pulse of social justice activism in Chicago, JCUA’s board members have amazing narrative arcs on the social justice history of Jewish Chicago, and our members continue to grow in number, innovation, and contribution. Mostly, I am excited to know that I am a part of an organization where Tikkun Olam is the priority, in a way that builds deeper understanding and lays the foundation for authentic relationships across diverse communities. The barriers to equity and justice in our city are multifaceted and numerous; fortunately, JCUA provides a conduit to eradicate inequity and usher in a more just Chicago. In the last month, the Supreme Court released some really important decisions. Most people have heard about the court’s views on the Affordable Care Act (Obamacare) and Marriage Equality. However, these were not the only decisions issued. One of the other decisions that didn’t make the forefront of the news was the Texas Department of Housing and Community Affairs v. The Inclusive Communities Project, Inc. This is an important ruling in the fight for fair housing practices around the country, and we are celebrating it here at JCUA. The Inclusive Communities Project successfully sued the Texas Department of Housing and Community Affairs for disproportionately allocating federal tax credits to build affordable housing in low-income, minority communities. This decision upholds and strengthens the Fair Housing Act of 1968, by ruling that it is unconstitutional to set housing policies that not only explicitly, but also IMPLICITLY discriminate against a protected minority. In other words, the disparate impact of a potential landlord or housing authority’s decision, if at all racially biased, could be considered unconstitutional. Municipalities across the U.S. have been sustaining a vicious cycle of segregation and marginalization. Instead of building subsidized housing in racially and economically diverse communities that would potentially give low-income individuals and families greater access to education, jobs and other types of programs, local governments frequently opt to place subsidized housing in poorer neighborhoods. This practice has resulted in generations of segregation and a separation of wealth. This ruling is a powerful reminder to local and state governments that the Fair Housing Act of 1968 does not, in any way, approve the spending of federal housing money in ways that perpetuate and prolong segregation of low-income communities in this country. JCUA’s Community Ventures Program (CVP), which gives zero-interest loans to developers and community based organizations that help provide affordable housing and economic development, regards this as huge win! We welcome a more leveled field regarding equitable housing access for everyone in Chicago. While only time will tell if this ruling will ultimately help to desegregate neighborhoods, it is a great step in the right direction. Learn more about JCUA’s Community Ventures Program here. As part of my ‘initiation’ into my new role leading JCUA’s Community Ventures Program (CVP), I had the opportunity to visit and touch base with each of our current projects. Here is a snapshot of how JCUA’s loan fund is being used to make a difference by supporting three essential affordable housing and economic development projects throughout Chicago. Breaking Ground, Inc. is a community-based organization on the west side of Chicago, which provides leadership development, manufacturing job training, and employment in construction and related fields to residents of Lawndale and Garfield Park. 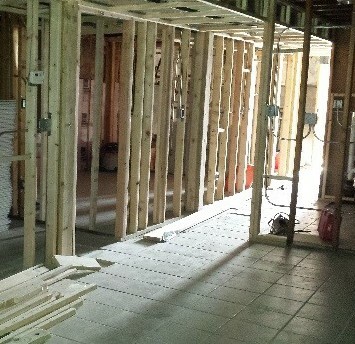 Breaking Ground is working to rehabilitate abandoned and foreclosed homes in West Lawndale, Berwyn, Bellwood, Maywood, and Austin. In 2011, JCUA provided a zero-interest loan of $90,000 to support housing redevelopment work. 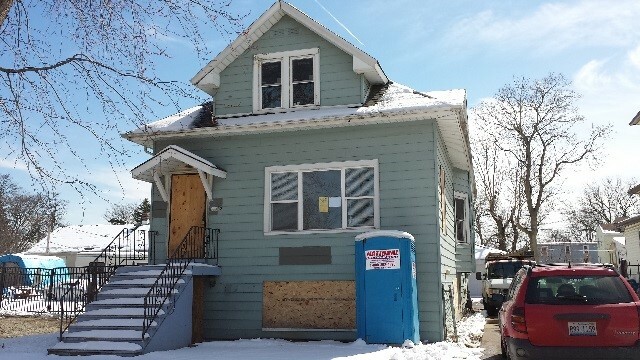 JCUA’s loan is enabling Breaking Ground to continually rehab multiple properties at once. I had the opportunity to visit two homes, one under construction and one under contract to be sold. When visiting with Breaking Ground, Josh DeGraff, Director of Housing stated, “Without the much needed help from the JCUA loan keeping our contractors working we wouldn’t have been able to accomplish the great things we have done in the Chicagoland affordable housing community during the past few years. We are very thankful for Breaking Ground’s partnership with JCUA.” Learn more about Breaking Ground. 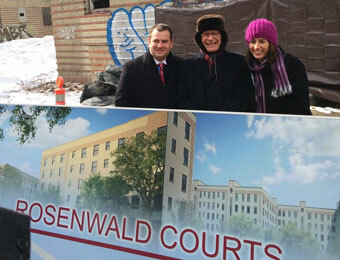 February 18, 2015, marked the long-awaited ground breaking for the redevelopment of the historic Rosenwald Building in Chicago’s Bronzeville neighborhood. Gathered together in a small, heated tent at the site, Alderman Pat Dowell emceed the event as long-time community members, the development team and supporters celebrated this momentous occasion. Through its Community Ventures Program, JCUA provided a zero-interest, pre-development loan of $100,000 in the early stages of the project. JCUA invested in this project at a time when others would not, in part because of a longstanding feeling of connection to the neighborhood. As Julius Rosenwald, the original developer, once was inspired to invest in supporting and creating quality affordable housing and vibrant retail, so too was JCUA when approached by the new developer, Landwhite, in 2012. To learn more about the project, visit JCUA’s earlier blog post. Once complete, the newly renovated Rosenwald Apartments will have 239 one and two-bedroom units of senior and family affordable housing, two-acres of usable courtyard green space, as well as 40,000 square feet of retail and office space along 47th Street. This development will serve as a major catalyst for other redevelopment opportunities throughout Bronzeville and JCUA is proud to be a part of making this project possible. This once iconic, bustling hot spot in Bronzeville is finally getting the much needed attention it deserves to revive this community anchor, as it was in its glory days. JCUA Executive Director, Judy Levey, JCUA Manager of Community Building, Sarah Gold, and Community Ventures Program Advisory Council member Ralph Brown attended the event, along with long-time JCUA supporter Peter Ascoli. JCUA salutes the late community activist and friend Bobbie Johnson, whose tireless work to save the Rosenwald is no longer just a dream. A pre-development loan of $100,000 from JCUA’s Community Ventures Program will help support the redevelopment of Mayfair Commons in the Albany Park neighborhood of Chicago. “Preserving housing stock.” It’s a phrase that sounds official and impersonal. Occasionally, though, we are reminded that there are human stories behind the bureaucratic language. I am writing to thank JCUA for your support of the Mayfair Commons [a 97-unit senior citizen residence at 4444 W. Lawrence in Chicago]. Back in 1997, I was the pastor of Mayfair United Methodist Church and our church leader, Jean Chapman, who had worked hard all of her life, did not have a decent home to which she could retire. Jean was an amazing, dynamic leader and I admired her very much. When the Mayfair Commons opened, we were all so excited. I wrote a letter of recommendation for Jean and met with the managers. She was the perfect candidate for them and they soon discovered that to be the case. Jean moved in and a large number of us went there to celebrate with her! It was a perfect place for her and she so deserved to live in such a nice place. I visited her there many more times and I just loved the place! We need 300 more like them in the city. A few years later Jean died of a sudden heart attack. I think about her a lot and what a special woman she was to me and so many others. I am so grateful that she had Mayfair Commons as her home base. So, thank you for stepping up and making Mayfair Commons a priority for JCUA. I am so very moved that you would help folks there feeling cared for and safe. Read the JCUA September newsletter here. Cantors to sing for expanded trauma care. JCUA invests in senior citizen housing. Membership meetings build toward selection of issues. JCUA stands with the striking employees of Golan’s moving. Nate Seeskin joins JCUA as AVODAH organizing fellow. JCUA’s latest newsletter is now online here.